Ah, the Warwick. The first night of Linda’s and my honeymoon was at the Warwick. Also, I see in the second photo a portion of the sunken rose garden. I always loved the rose garden as a kid, and I have never really thought of the fountain as an improvement. 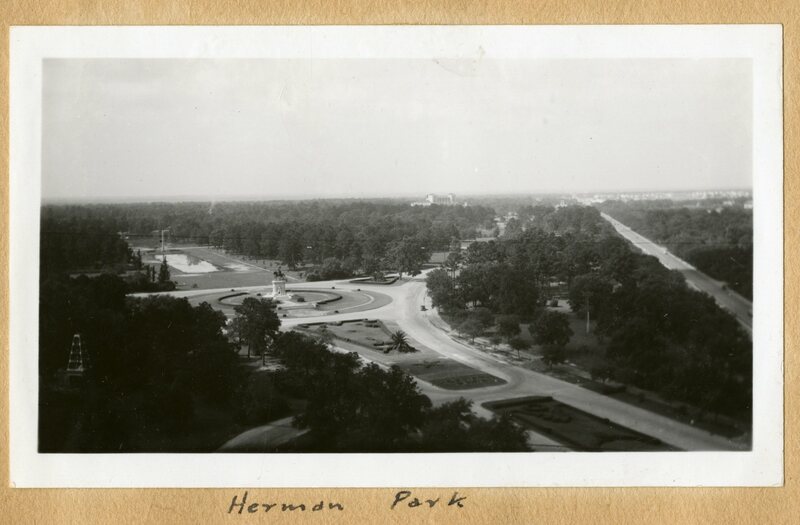 The “Main Boulevard” photo has the best view I’ve ever seen of the J.S. Cullinan house “Shadyside.” It was designed by St. Louis architect James P. Jamieson for Cullinan, the founder of the Texas Company (Texaco) and developer of the Shadyside exclusive subdivision adjacent to Rice. The house later belonged to William and Oveta C. Hobby and became the center of a protracted legal dispute between Mrs. Hobby and her Shadyside neighbors. When the Texas Supreme Court eventually ruled that the neighborhood’s deed restrictions prevented her from commercially redeveloping her property with a hotel or apartment building, she tore down the house in about 1971 and moved to River Oaks. And the Museum of Fine Arts photo has a great picture of the substantial Spanish Mediterranean Montrose Apartments building across Bissonnet, (where the sculpture garden is now) which also lasted until the mid-60s at least. What is the structure north of (now) Bissonnet opposite the museum? 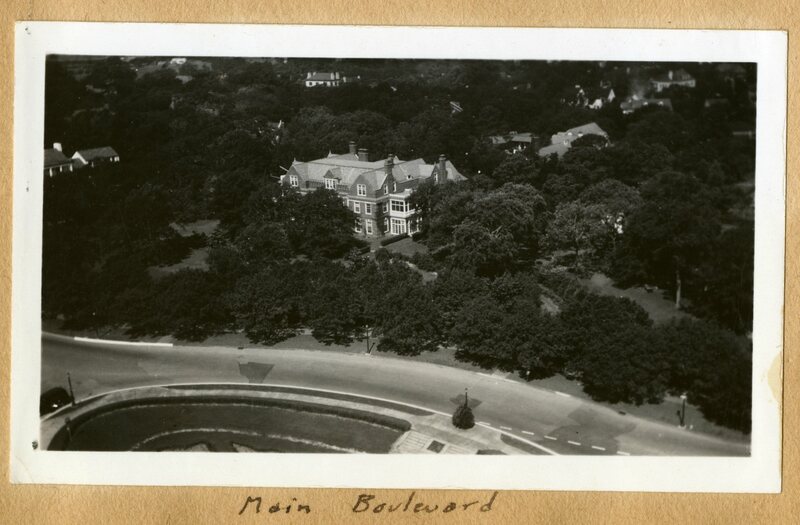 Montrose Boulevard Apartments, built c. 1925, torn down c. 1970. Yes, I know they appear to front on Bissonnet. You can see a little more of them in these pictures. 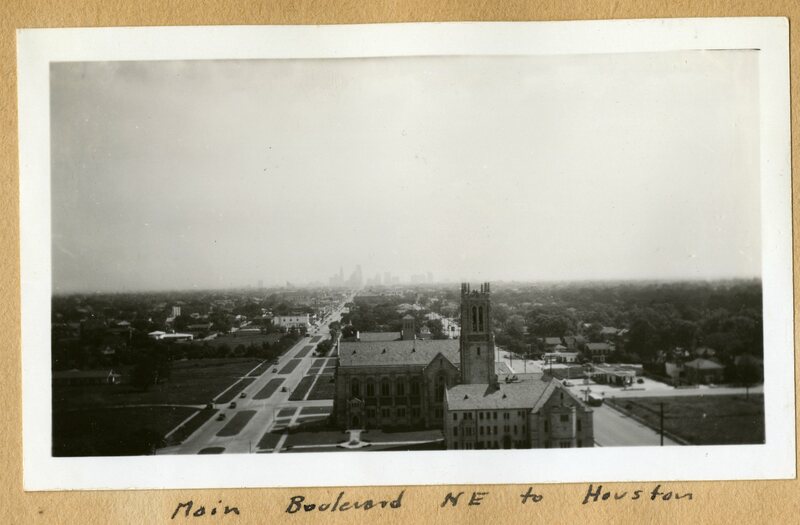 I think I’ve seen an architectural photo of the then new Mies addition to the MFAH, looking out toward Bissonnet, which shows the apartments in great detail, but I can’t find it. Ah! I rarely ventured up Montrose before they were gone. Striking in the photo, though, with very little around them. Stephen Fox confirms for me that the Montrose Boulevard Apartments were built in 1925. 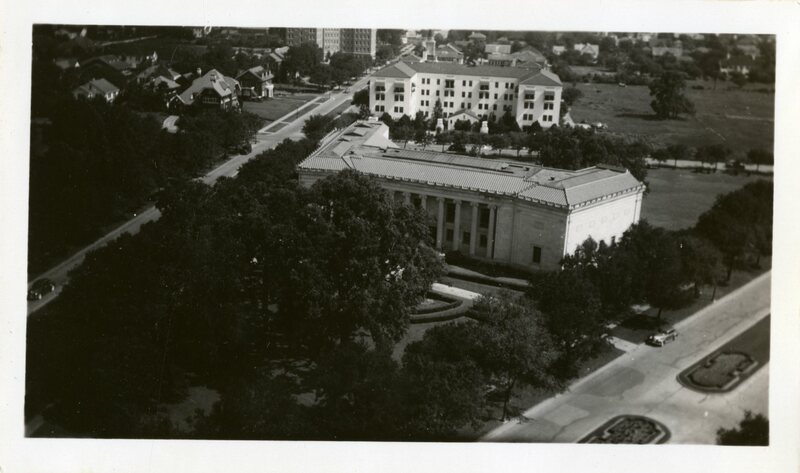 The Brown Foundation bought them in 1968 and tore them down to clear the land for MFAH expansion. The architect was James A. Glover.